Android Auto is probably the Android platform of least general public concern, but it's an exciting one, if you ask me - who doesn't want Google Now in the car? Still, if you've not been paying close attention to Auto news in the past few months very closely, you might not have noticed that Android Auto is... not actually officially released. Which is why you're seeing some articles today about Pioneer's aftermarket head units with Android Auto being on sale. You can buy one - like this one, for $1400. And since it says Android Auto on the box, it's got Android Auto, right? And yes, it does. It presumably has the framework and other bits necessary to run Android Auto, otherwise Pioneer would be a big bunch of lying liars who lie. And I don't think they are. But, Android Auto will not run on these head units if you buy one and install it today, or perhaps in the near future. That's because Google hasn't actually released the bits necessary to run Android Auto on your Android smartphone. Whether it be a Play Services update or a whole new companion app, we don't know, but there'll need to be something that gets installed on your actual phone in order for Auto to function. 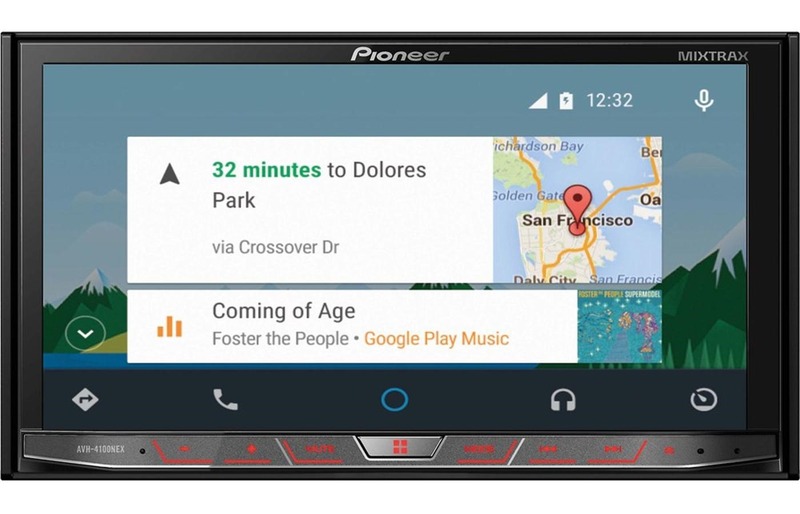 Yes, I realize Pioneer's copy says all you need is an Android 5.0 smartphone, but it neglects to mention that Google also needs to, you know, release Android Auto. Which it hasn't! So, you can buy one of these fancy head units (they come in three exciting prices - expensive, very expensive, second mortgage) today in the anticipation of Android Auto, but you can't actually use Auto yet. When can you use Auto? We don't know. It could be very, very soon - Google declined to comment on this story, but it seems odd they'd let a partner start selling Auto-ready head units if they weren't preparing to make Auto available pretty soon. Then again, Google may not even have any real control over what Auto partners do in terms of releasing products, so Pioneer could just want to yell "FIRST!" from the online retail mountaintops in regard to being the "first" Android Auto / CarPlay product on the market. Which technically they are, you just can't use the Auto part. Hopefully, we'll know more about Auto's impending release soon. Like, before Google I/O. That would be nice.